This is the only hope I have of introducing you to the Chaos Quad Kitties, herein known as the “ChaoS’quad Kitties” © Sam Sochacka2015. So, their name. I initially thought that they were the Chaos Quad Kitties. However, after spending 48 hours with them, I realised that they are way more stealthy, and organised than that. 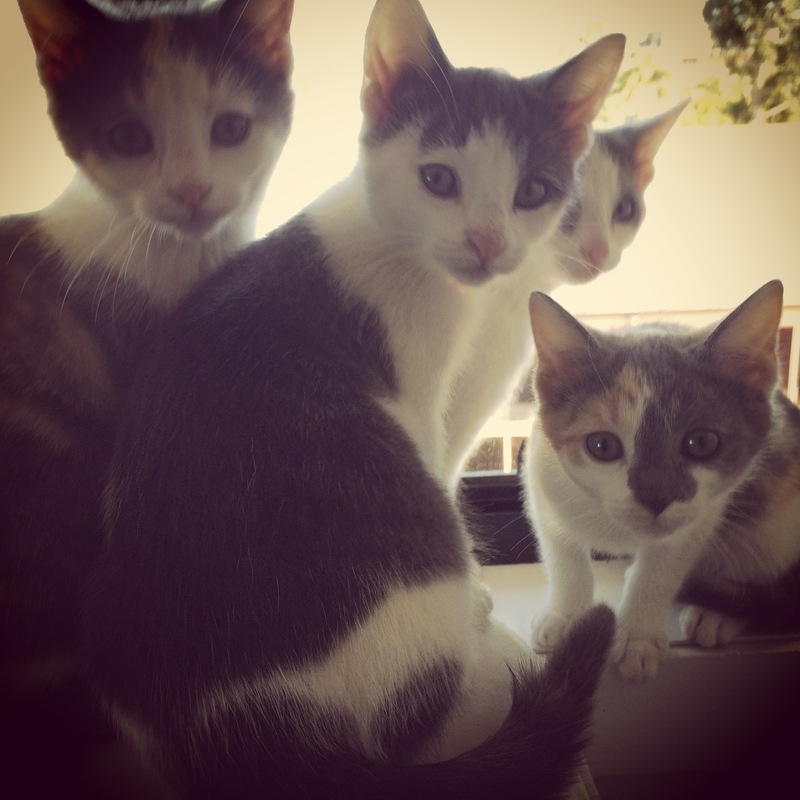 Hence, the “ChaoS’quad Kitties”. So yes, they are the Chaos Quad (there are four of them), but they are so good at creating chaos, that they deserve to be named as a ‘Squad’. So, blend those ideas together, and you have “ChaoS’quad Kitties”. Anyway, I must away. Time to clean up the kitty litter, and enjoy my last few minutes of quiet before the “ChaoS’quad Kitties” wake up. AND it’s a full moon. Oh no!